On July 17, 2014 about 11.30 PM there were global breaking news in CNN and reuters regarding this incident. Reliability of the source has yet to be confirmed. Surely attention is getting accumulated as this incident has been rated as breaking news in world news portal. Let us hope it did not happen as the incident about MH370 happened in March is still very much lingering. This will hit us hard acknowledge Malaysia Airline has two accidents in a year sparking global attention. Although it has been calmed down due to the Malaysian efforts in searching the missing aircraft and the involvement of Australian to help locating the MH370 airliner. This is a video alleged capturing in the border of Ukraine. The smoke blew at a far distance and speculated it was a result of crashing Malaysian airliner carrying 295 passengers. 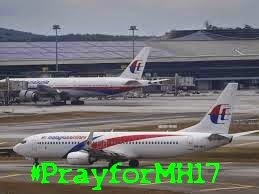 Malaysian Airline has not made any statement so far about this due to the validity of this news. The matter could be worse when one of the news reported speculating the airliner was not crash but shot down by rockets. The airline was flying from Amsterdam to Kuala Lumpur. News exposed it was MH17. The news getting bigger when Ministry of Ukraine accused Russia shot down the passenger aircraft.